Showing results for tags 'Playable Characters'. Who still wants Riku or King Mickey to be playable? If you want Riku to be playable, King Mickey could be your party member. If you want King Mickey to be playable, Riku could be your party member. It's just the last call for playable characters with party members. How many playable characters do you want? Do you like two, three or all playable characters? Let me know. 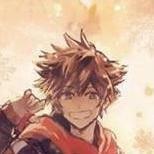 It would great if Riku and/or King Mickey is playable, they would go to Disney worlds first and then, find Terra, Ventus and Aqua (previous Keyblade wielders). well, I was just wondering. So, before DDD was released I remember how we fantasized about: How are we gonna play between Sora an Riku? Will we be able to freely choose who we want to play first? And then the answer: you gonna bear not falling asleep as long as you don't want to change characters. Now in KHIII, I think there is an open window for many playable characters. Who do you think they could be and how will the character selection take place? I myself liked the BbS system of parallel plots.